There are many reasons why the “Made in America” tag is beginning to hit close to home now with so many American citizens, but today we'll be focusing on one in particular: outsourcing. With the growth of outsourcing jobs overseas, many American employees have been both directly and indirectly impacted by this. One grim picture painted by the effect of outsourcing is the fact that countless of American manufacturing centers (and even some towns now) look eerily similar to ghost towns. All of this prompts us to take an in-depth look into the effects of outsourcing American jobs and how the printing industries of America are helping reverse the trend. It's estimated that in 2003, about 150,000 American jobs went overseas, and only 2,000 came back. However, recent numbers are showing us that companies are gradually bringing back production to the country.This fact is illustrated by the following employment trend in 2013: If 40,000 jobs were exported during that year, an equal number of jobs came back as well. So why the sudden change? Maybe it's the fact that a majority of Americans are increasingly valuing products made in the U.S (or close to home like Canada). What people are now looking at more when they purchase items are if the products were made without negatively impacting American jobs.. Manufacturing companies are also realizing the benefits of remaining close to their customer base. The fact is that creating products in America has gained popularity once again after a really long time! It is a conscious decision of American consumers are also now choosing to make: Buy American! Even if it means paying a little extra, supporting local businesses and jobs has become a priority with Americans who are making the voluntary choice to help support American enterprise and business. According to one report, outsourcing of American jobs is a bigger threat than terrorism. More Americans are now acknowledging that outsourcing is shortsighted and a stopgap solution at best and that layoffs could prove to be fools’ gold for companies. Did you know, the printing ink that you buy can also impact this "Made in America, Buy in America" trend? 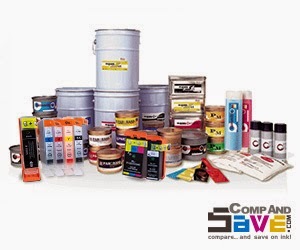 The global ink additives markets are impacted by printing services for flexible packaging, folding cartons, corrugated cardboard, promotions and other applications. One study has predicted growth of 5.78% in the global ink additives market over the next few years. Some of the key companies in ink additives market are American, apart from some German companies and one UK company. So, it is primarily American companies that are concentrating on expanding production. American companies such as Air products, Eastman Chemical Company, Huntsman Corporation, Lawter, Shamrock Technologies, and The Dow Chemical Company that are leading the way and helping support this home based growth story. A significant proportion of experts agree that the “in-sourcing” of American jobs, bringing manufacturing back to the country is a real trend and we believe that the printing ink segment can well support this. However experts are also in agreement that Washington needs to do more; that President Obama's words of encouragement for American entrepreneurs who have championed “insourcing”, “CEOs who take pride in hiring people here in America,” may not be enough. Government agencies need to court American companies, making it easy for Americans to set up businesses and removing hurdles to make America user friendly. If you have a view to share about the ink additives market, why not share it with us below this post or via our via our Facebook or Twitter pages?